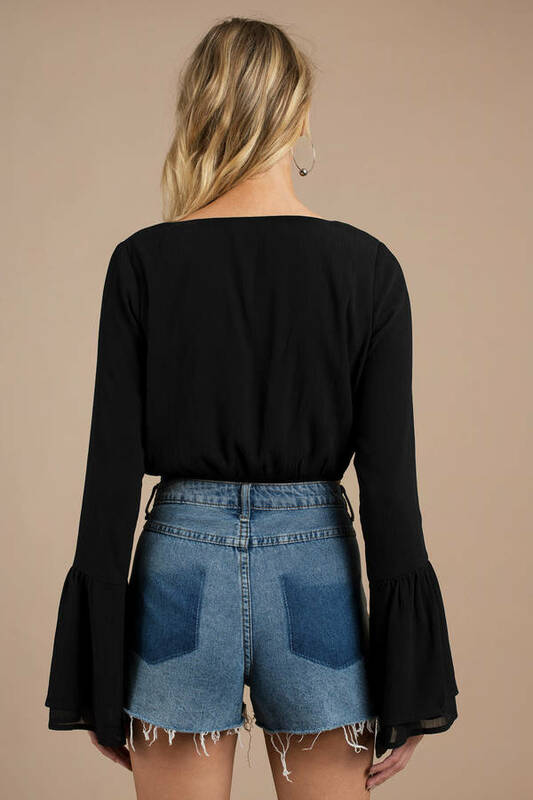 Check out Tobi's With A Flare Ruffle Blouse Your outfits need a bit of flare. 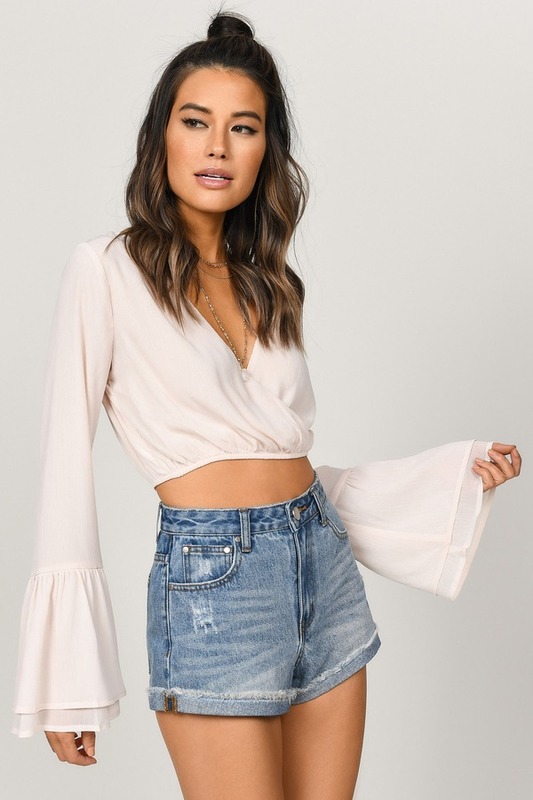 Get the With A Flare Ruffle Blouse for all your boho and festival looks! This flowy blouse features a plunging v neckline and long flared sleeves with subtle tiered ruffles, creating a striking silhouette. Dress this trendy crop top down with denim shorts, or grab some bell bottoms and heels for a retro, dressed up look. Your outfits need a bit of flare. 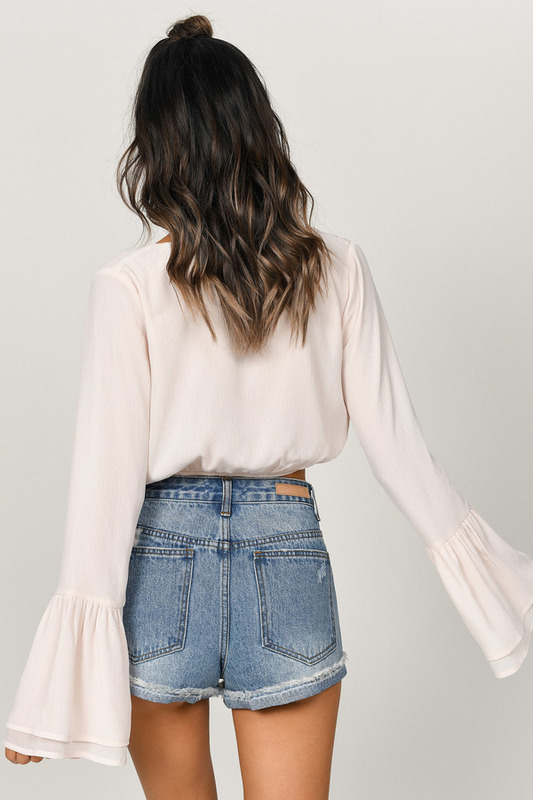 Get the With A Flare Ruffle Blouse for all your boho and festival looks! 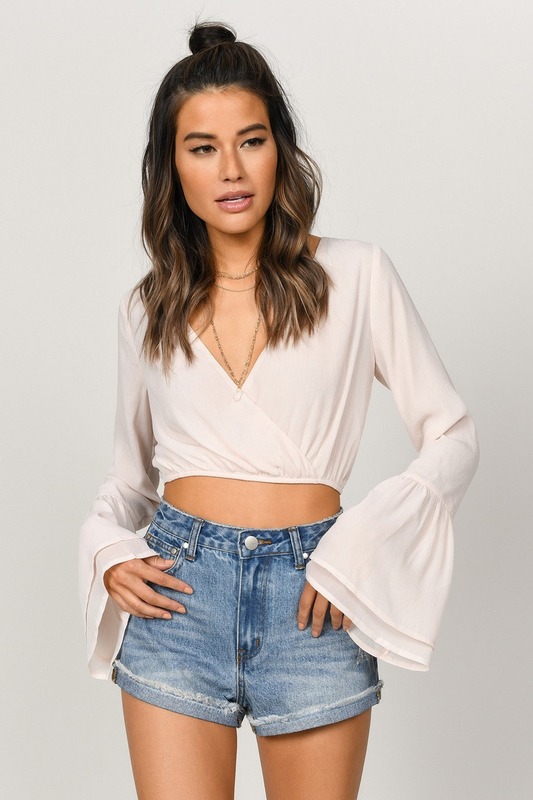 This flowy blouse features a plunging v neckline and long flared sleeves with subtle tiered ruffles, creating a striking silhouette. 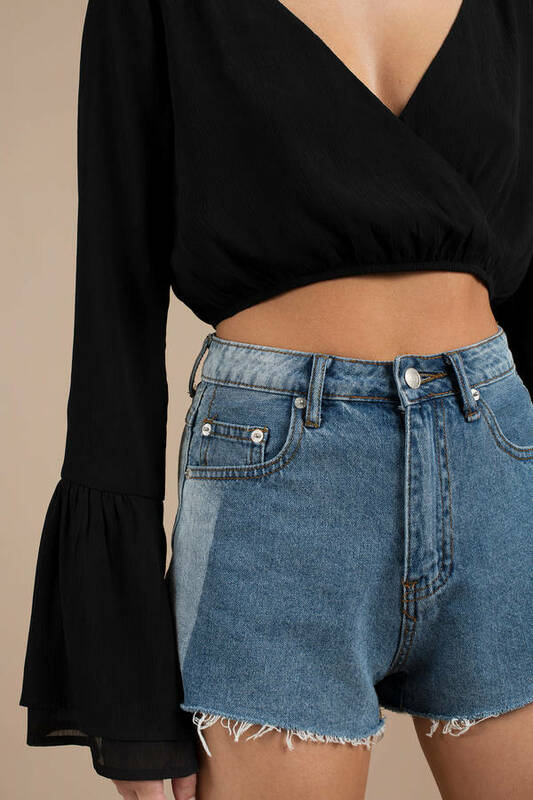 Dress this trendy crop top down with denim shorts, or grab some bell bottoms and heels for a retro, dressed up look. Black, Light Blush modeled on a size Small.